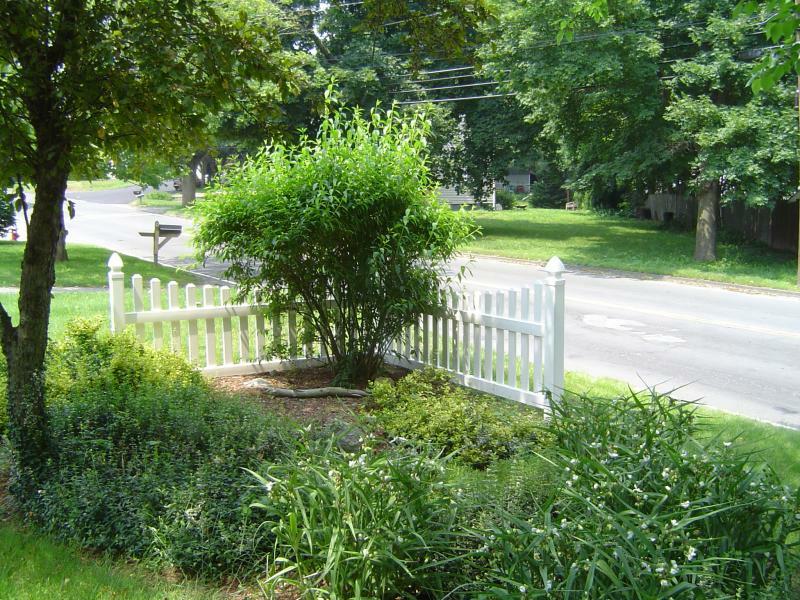 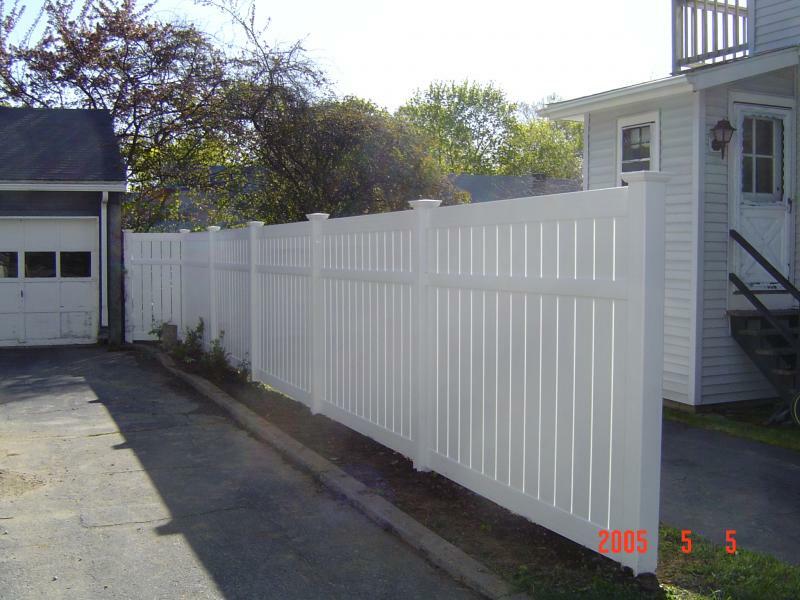 Semi-Private Vinyl fence in "Cambium" color. 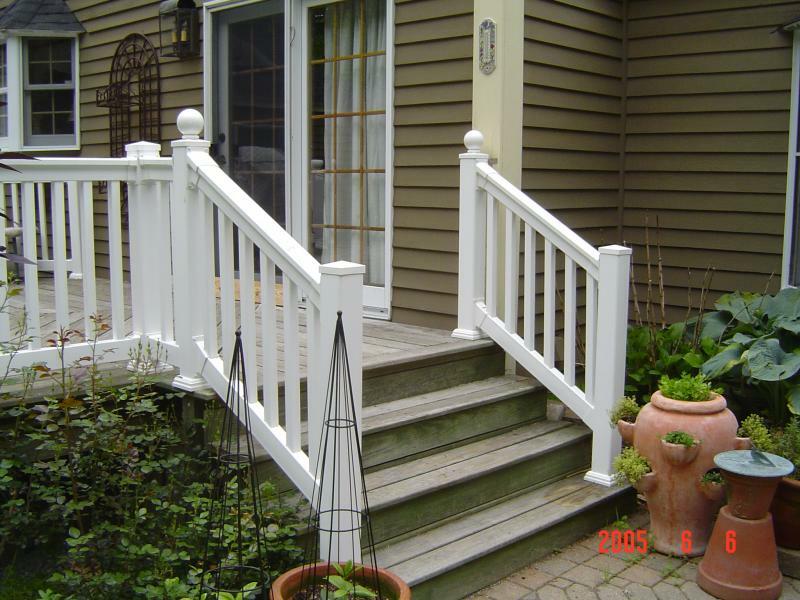 A very nice and unique woodgrain. 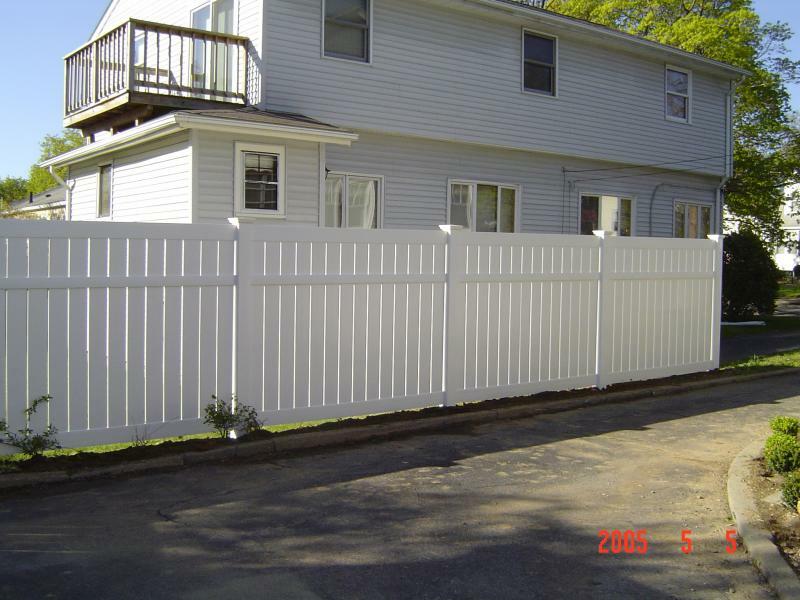 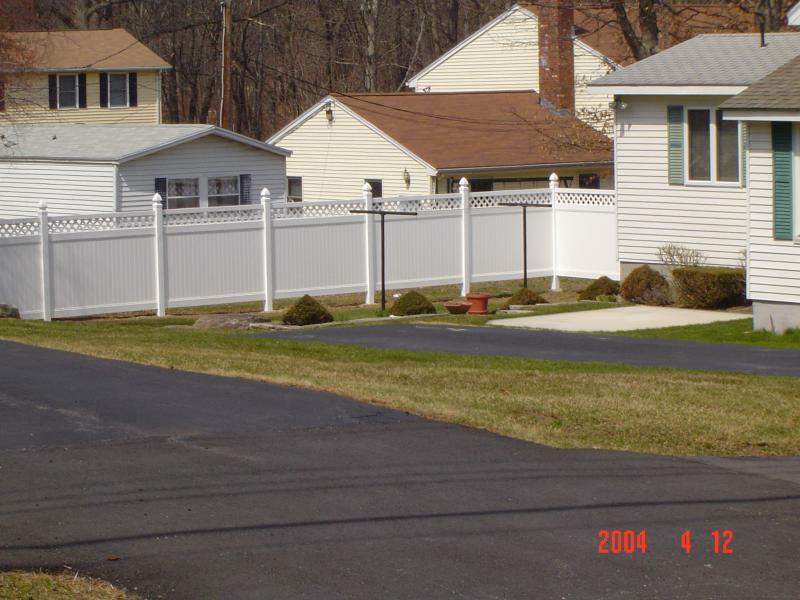 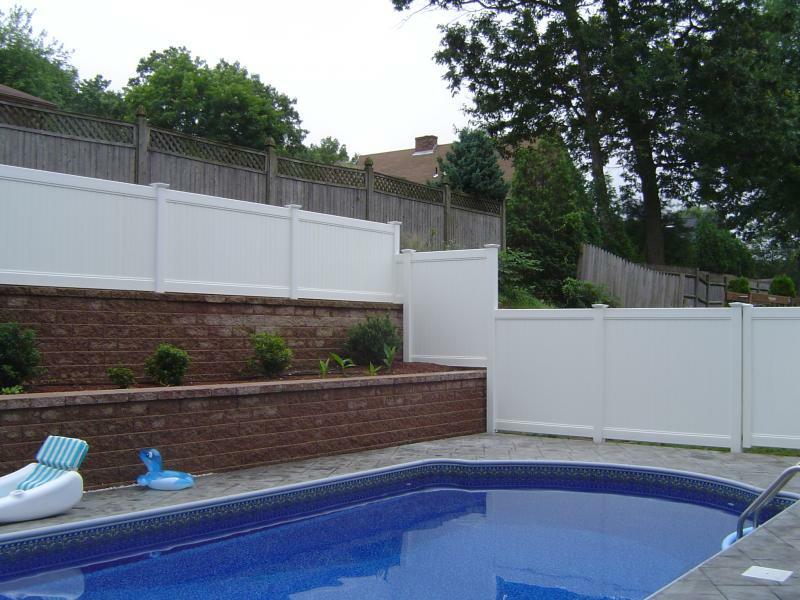 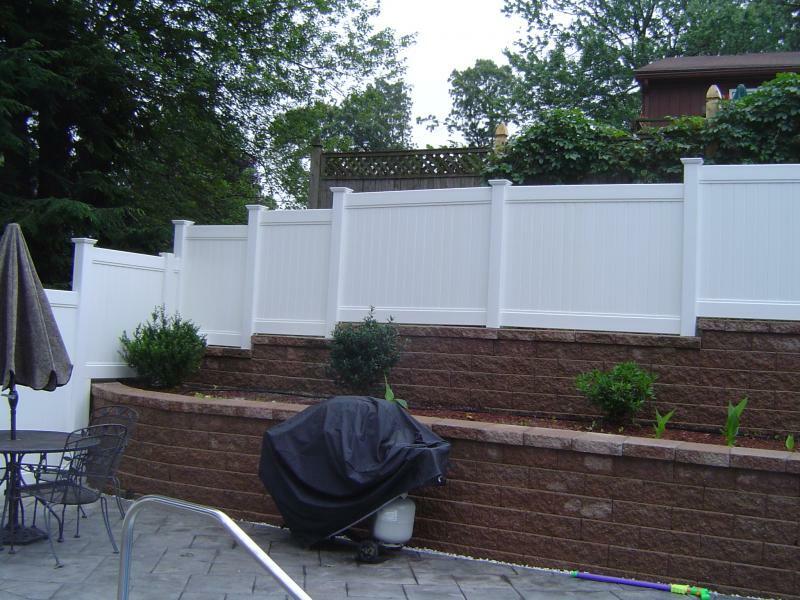 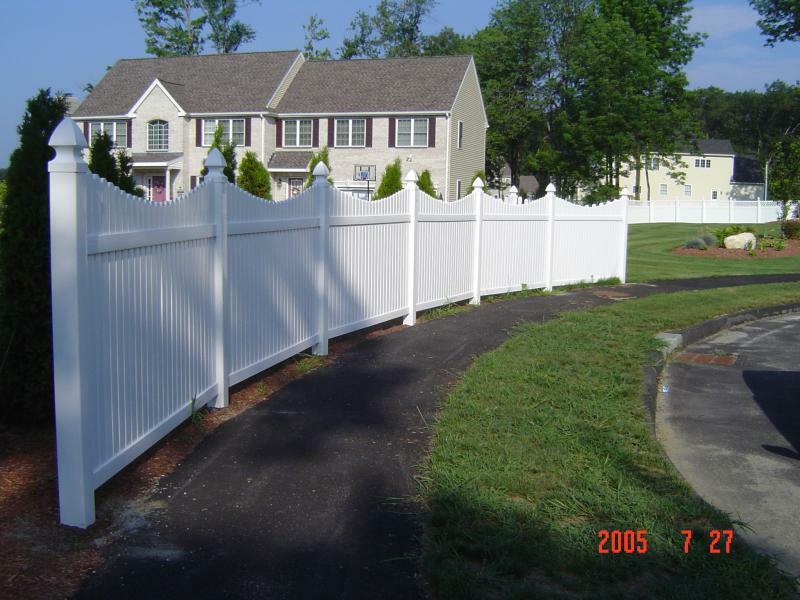 Contemporary Style Vinyl Fence. 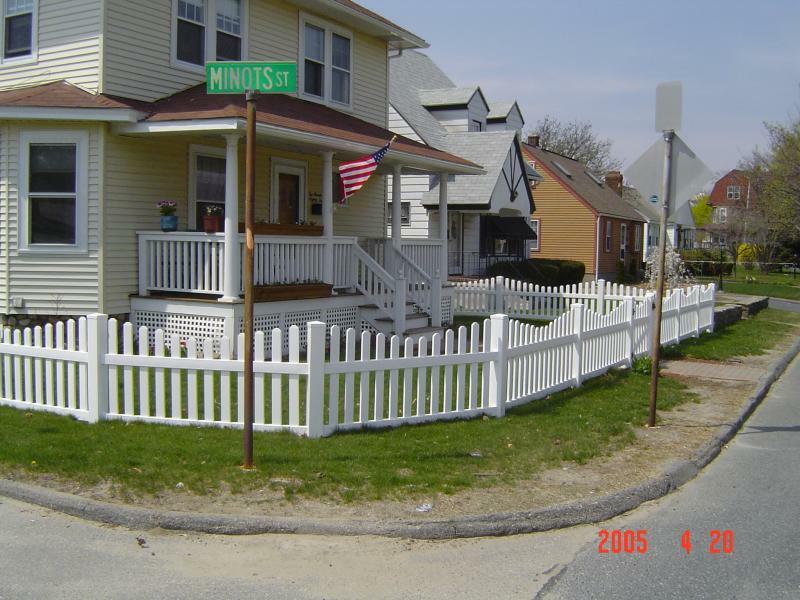 A nice choice if you're just looking to dress up your yard. 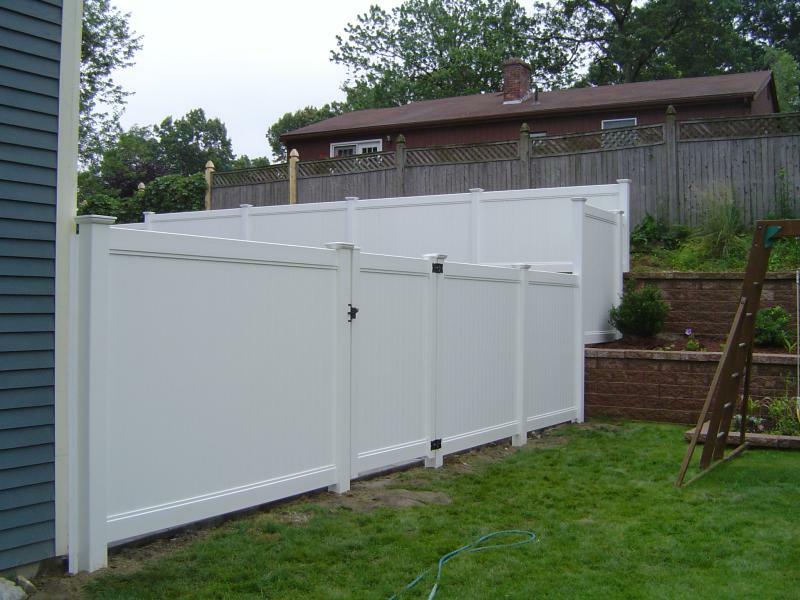 Six foot tall Vinyl Semi-Private Fence. 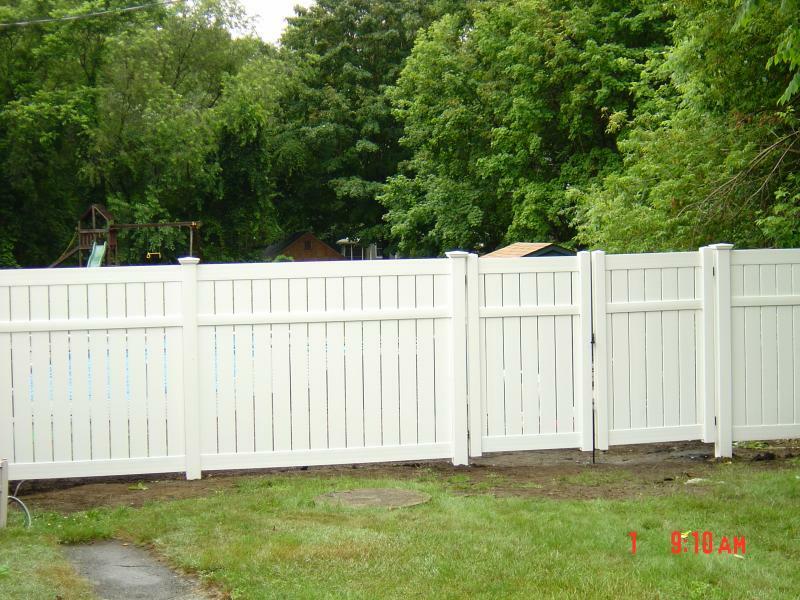 The picture on the right shows a double drive gate, in this case for a yard tractor. 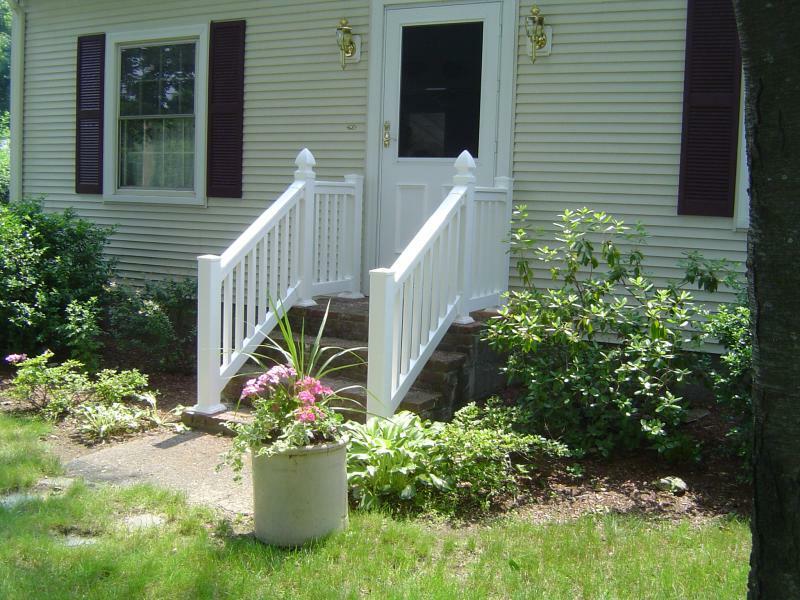 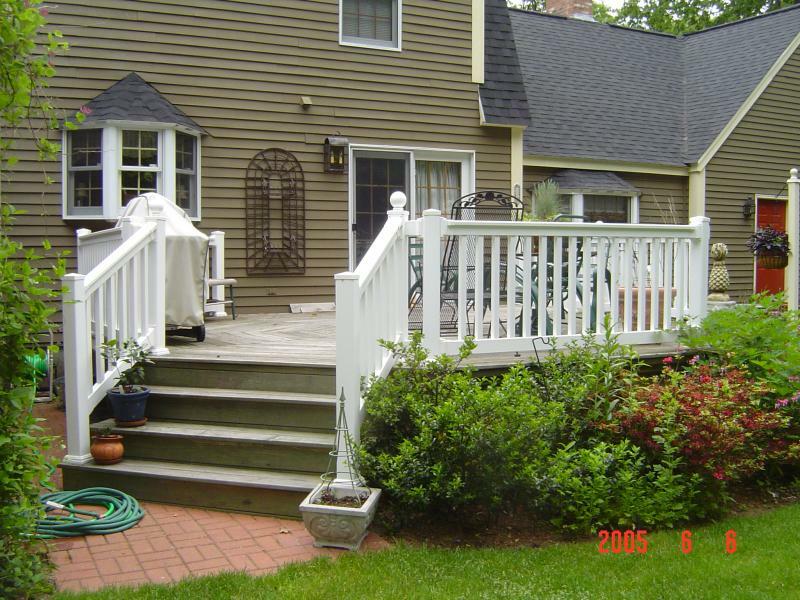 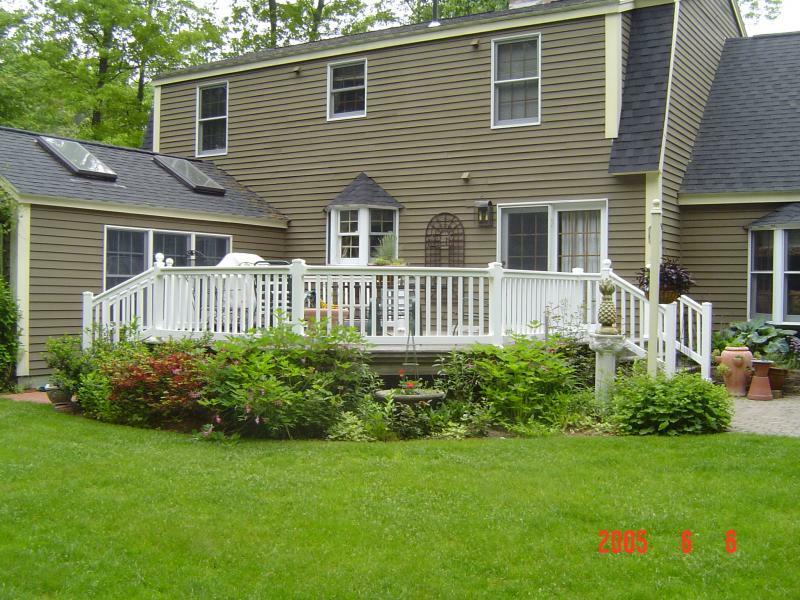 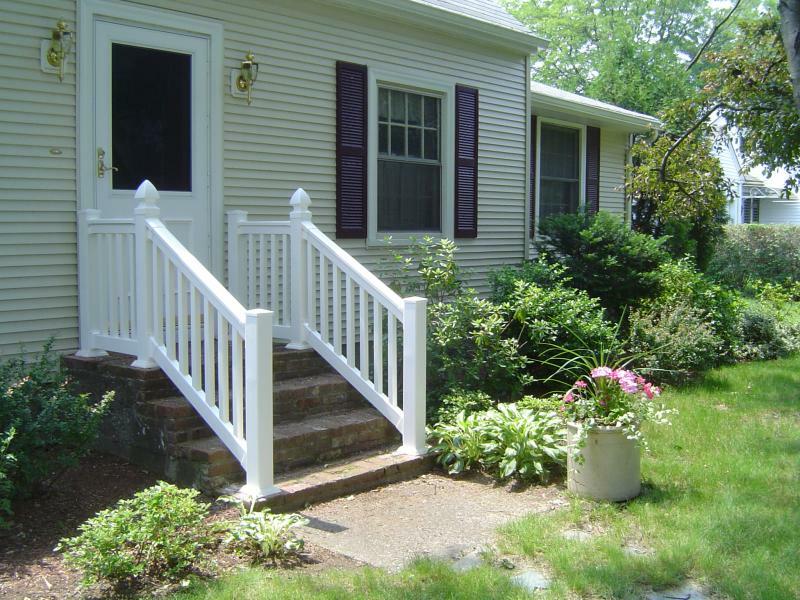 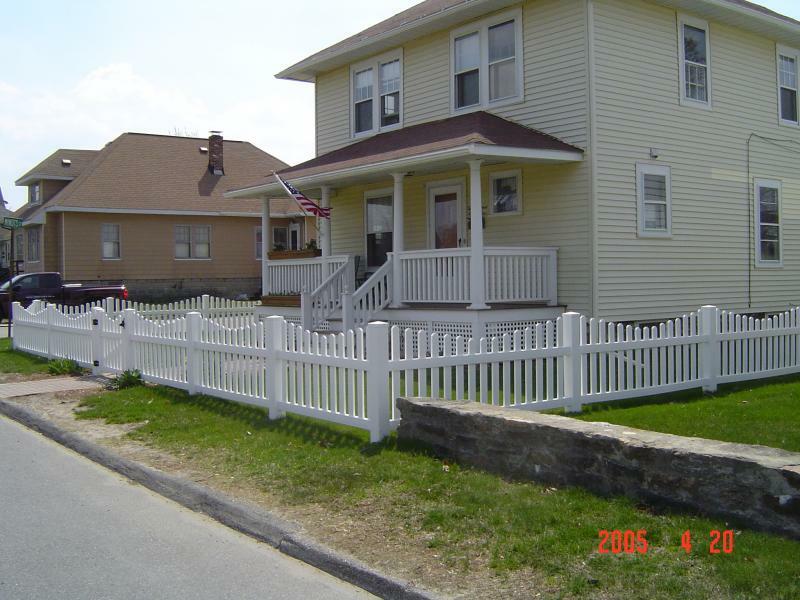 We install deck and step railings, made custom with materials from Timber-Tech, Active Yards, or Bufftech.